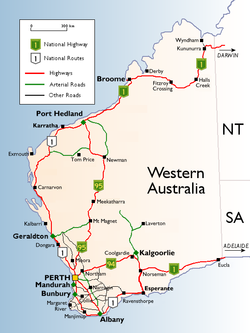 Western Australia[a] (abbreviated as WA) is a state occupying the entire western third of Australia. It is bounded by the Indian Ocean to the north and west, and the Southern Ocean to the south,[b] the Northern Territory to the north-east, and South Australia to the south-east. Western Australia is Australia's largest state, with a total land area of 2,529,875 square kilometres (976,790 sq mi), and the second-largest country subdivision in the world, surpassed only by Russia's Sakha Republic. The state has about 2.6 million inhabitants – around 11 percent of the national total – of whom the vast majority (92 per cent) live in the south-west corner, 79 per cent of the population living in the Perth area, leaving the remainder of the state sparsely populated. The first European visitor to Western Australia was the Dutch explorer Dirk Hartog, who visited the Western Australian coast in 1616. The first European settlement of Western Australia occurred following the landing by Major Edmund Lockyer on 26 December 1826 of an expedition on behalf of the New South Wales colonial government. He established a convict-supported military garrison at King George III Sound, at present-day Albany, and on 21 January 1827 formally took possession of the western third of the continent for the British Crown. This was followed by the establishment of the Swan River Colony in 1829, including the site of the present-day capital, Perth. York was the first inland settlement in Western Australia. Situated 97 kilometres (60 miles) east of Perth, it was settled on 16 September 1831. Western Australia achieved responsible government in 1890 and federated with the other British colonies in Australia in 1901. Today, its economy mainly relies on mining, agriculture, exports, and tourism. The state produces 46 per cent of Australia's exports. 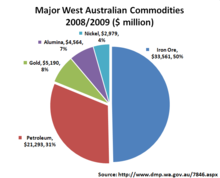 Western Australia is the second-largest iron ore producer in the world. The total length of the state's eastern border is 1,862 km (1,157 mi). There are 20,781 km (12,913 mi) of coastline, including 7,892 km (4,904 mi) of island coastline. The total land area occupied by the state is 2.5 million km2 (970 thousand sq mi). The bulk of Western Australia consists of the extremely old Yilgarn craton and Pilbara craton which merged with the Deccan Plateau of India, Madagascar and the Karoo and Zimbabwe cratons of Southern Africa, in the Archean Eon to form Ur, one of the oldest supercontinents on Earth (3 – 3.2 billion years ago). In May 2017, evidence of the earliest known life on land may have been found in 3.48-billion-year-old geyserite and other related mineral deposits (often found around hot springs and geysers) uncovered in the Pilbara craton. Because the only mountain-building since then has been of the Stirling Range with the rifting from Antarctica, the land is extremely eroded and ancient, with no part of the state above 1,245 metres (4,085 ft) AHD (at Mount Meharry in the Hamersley Range of the Pilbara region). Most of the state is a low plateau with an average elevation of about 400 metres (1,200 ft), very low relief, and no surface runoff. This descends relatively sharply to the coastal plains, in some cases forming a sharp escarpment (as with the Darling Range/Darling Scarp near Perth). Western Australian cities, towns, settlements and road network. The extreme age of the landscape has meant that the soils are remarkably infertile and frequently laterised. Even soils derived from granitic bedrock contain an order of magnitude less available phosphorus and only half as much nitrogen as soils in comparable climates in other continents. Soils derived from extensive sandplains or ironstone are even less fertile, nearly devoid of soluble phosphate and deficient in zinc, copper, molybdenum and sometimes potassium and calcium. The infertility of most of the soils has required heavy application by farmers of fertilizers. These have resulted in damage to invertebrate and bacterial populations. The grazing and use of hoofed mammals and, later, heavy machinery through the years have resulted in compaction of soils and great damage to the fragile soils. Large-scale land clearing for agriculture has damaged habitats for native flora and fauna. As a result, the South West region of the state has a higher concentration of rare, threatened or endangered flora and fauna than many areas of Australia, making it one of the world's biodiversity "hot spots". Large areas of the state's wheatbelt region have problems with dryland salinity and the loss of fresh water. The southwest coastal area has a Mediterranean climate. It was originally heavily forested, including large stands of karri, one of the tallest trees in the world. This agricultural region is one of the nine most bio-diverse terrestrial habitats, with a higher proportion of endemic species than most other equivalent regions. Thanks to the offshore Leeuwin Current, the area is one of the top six regions for marine biodiversity and contains the most southerly coral reefs in the world. Average annual rainfall varies from 300 millimetres (12 in) at the edge of the Wheatbelt region to 1,400 millimetres (55 in) in the wettest areas near Northcliffe, but from November to March, evaporation exceeds rainfall, and it is generally very dry. Plants are adapted to this as well as the extreme poverty of all soils. The central two-thirds of the state is arid and sparsely inhabited. The only significant economic activity is mining. Annual rainfall averages less than 300 millimetres (8–10 in), most of which occurs in sporadic torrential falls related to cyclone events in summer. An exception to this is the northern tropical regions. The Kimberley has an extremely hot monsoonal climate with average annual rainfall ranging from 500 to 1,500 millimetres (20–60 in), but there is a very long almost rainless season from April to November. Eighty-five percent of the state's runoff occurs in the Kimberley, but because it occurs in violent floods and because of the insurmountable poverty of the generally shallow soils, the only development has taken place along the Ord River. Snow is rare in the state and typically occurs only in the Stirling Range near Albany, as it is the only mountain range far enough south and sufficiently elevated. More rarely, snow can fall on the nearby Porongurup Range. Snow outside these areas is a major event; it usually occurs in hilly areas of southwestern Australia. The most widespread low-level snow occurred on 26 June 1956 when snow was reported in the Perth Hills, as far north as Wongan Hills and as far east as Salmon Gums. However, even in the Stirling Range, snowfalls rarely exceed 5 cm (2 in) and rarely settle for more than one day. The highest observed maximum temperature of 50.5 °C (122.9 °F) was recorded at Mardie Station on 19 February 1998. The lowest minimum temperature recorded was −7.2 °C (19.0 °F) at Eyre Bird Observatory on 17 August 2008. Western Australia is home to around 540 species of birds (depending on the taxonomy used). Of these around 15 are endemic to the state. The best areas for birds are the southwestern corner of the state and the area around Broome and the Kimberley. 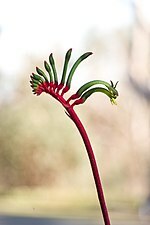 The Flora of Western Australia comprises 10,162 published native vascular plant species, along with a further 1,196 species currently recognised but unpublished. They occur within 1,543 genera from 211 families; there are also 1,276 naturalised alien or invasive plant species, more commonly known as weeds. In the southwest region are some of the largest numbers of plant species for its area in the world. 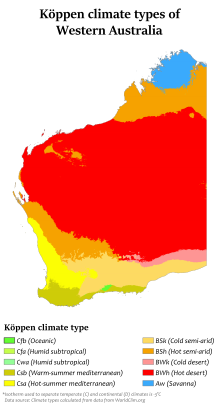 Specific ecoregions of Western Australia include: the sandstone gorges of The Kimberley on the northern coast and below that areas of dry grassland (Ord Victoria Plain) or semi-desert (Western Australian Mulga shrublands), with Tanami Desert inland from there. Following the coast south there is the Southwest Australia savanna and the Swan Coastal Plain around Perth, and then farther south the Warren on the southwest corner of the coast around the wine-growing area of Margaret River. Going east along the Southern Ocean coast is the Goldfields-Esperance region, including the Esperance grasslands and the Coolgardie grasslands inland around town of Coolgardie. In 1831 Scottish botanist Robert Brown produced a scientific paper, General view of the botany of the vicinity of Swan River. It discusses the vegetation of the Swan River Colony. The first inhabitants of Australia arrived from the north about 40,000 to 60,000 years ago. Over thousands of years they eventually spread across the whole landmass. These Indigenous Australians were long established throughout Western Australia by the time European explorers began to arrive in the early 17th century. The first European to visit Western Australia was a Dutch explorer, Dirk Hartog, who on 25 October 1616 landed at what is now known as Cape Inscription, Dirk Hartog Island. For the rest of the 17th century, other Dutch and British navigators encountered the coast, usually unintentionally, as demonstrated by the many shipwrecks along the coast of ships that deviated from the Brouwer Route (because of poor navigation and storms). Two hundred years passed before Europeans believed that the great southern continent actually existed. By the late 18th century, British and French sailors had begun to explore the Western Australian coast. The origins of the present state began with the establishment by Lockyer of a convict-supported settlement from New South Wales at King George III Sound. The settlement was formally annexed on 21 January 1827 by Lockyer when he commanded the Union Jack be raised and a feu de joie fired by the troops. The settlement was founded in response to British concerns about the possibility of a French colony being established on the coast of Western Australia. On 7 March 1831 it was transferred to the control of the Swan River Colony, and named Albany in 1832. In 1829 the Swan River Colony was established on the Swan River by Captain James Stirling. By 1832, the British settler population of the colony had reached around 1,500, and the official name of the colony was changed to Western Australia. The two separate townsites of the colony developed slowly into the port city of Fremantle and the state's capital, Perth. York was the first inland settlement in Western Australia, situated 97 kilometres (60 mi) east of Perth and settled on 16 September 1831. York was the staging point for early explorers who discovered the rich gold reserves of Kalgoorlie. Population growth was very slow until significant discoveries of gold were made in the 1890s around Kalgoorlie. In 1887, a new constitution was drafted, providing for the right of self-governance of European Australians and in 1890, the act granting self-government to the colony was passed by the British Parliament. 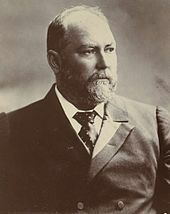 John Forrest became the first Premier of Western Australia. In 1896, the Western Australian Parliament authorised the raising of a loan to construct a pipeline to transport 23 megalitres (5 million imperial gallons) of water per day to the Goldfields of Western Australia. The pipeline, known as the Goldfields Water Supply Scheme, was completed in 1903. C.Y. O'Connor, Western Australia's first engineer-in-chief, designed and oversaw the construction of the pipeline. It carries water 530 km (330 mi) from Perth to Kalgoorlie, and is attributed by historians as an important factor driving the state's population and economic growth. Following a campaign led by Forrest, residents of the colony of Western Australia (still informally called the Swan River Colony) voted in favour of federation, resulting in Western Australia officially becoming a state on 1 January 1901. Western Australia's capital and largest city, Perth, from Kings Park. Its metropolitan area is home to 75% of the state's population. Europeans began to settle permanently in 1826 when Albany was claimed by Britain to forestall French claims to the western third of the continent. Perth was founded as the Swan River Colony in 1829 by British and Irish settlers, though the outpost languished. Its officials eventually requested convict labour to augment its population. In the 1890s, interstate immigration, resulting from a mining boom in the Goldfields region, resulted in a sharp population increase. Western Australia did not receive significant flows of immigrants from Britain, Ireland or elsewhere in the British Empire until the early 20th century. At that time, its local projects—such as the Group Settlement Scheme of the 1920s, which encouraged farmers to settle the southwest—increased awareness of Australia's western third as a destination for colonists. Led by immigrants from the British Isles, Western Australia's population developed at a faster rate during the twentieth century than it had previously. After World War II, both the eastern states and Western Australia received large numbers of Italians, Croatians and Macedonians. Despite this, Britain has contributed the greatest number of immigrants to this day. Western Australia—particularly Perth—has the highest proportion of British-born of any state: 10.3% in 2011, compared to a national average of 5.1%. This group is heavily concentrated in certain parts, where they account for a quarter of the population. In terms of ethnicity, the 2001 census data revealed that 77.5% of Western Australia's population was of European descent: the largest single group was those reporting English ethnicity, accounting for 733,783 responses (32.7%), followed by Australian with 624,259 (27.8%), Irish with 171,667 (7.6%), Italian with 96,721 (4.3%), Scottish with 62,781 (2.8%), German with 51,672 (2.3%), and Chinese with 48,894 responses (2.2%). There were 58,496 Indigenous Australians in Western Australia in 2001, forming 3.1% of the population. According to the 2011 census data, the most common ancestries in Western Australia were English 29.0% (848,230), Australian 24.8% (724,360), Irish 6.4% (187,038), Scottish 6.4% (186,475) and Italian 3.8% (111,894). There were 69,664 (3.1%) Aboriginal and Torres Strait Islander Australians living in Western Australia in the 2011 census. In terms of birthplace, in the 2011 census 33.2% of the population were born overseas – the highest proportion of any state or territory. People born in the United Kingdom (230,410), New Zealand (70,736) and South Africa (35,326) were the largest groups of immigrants, accounting for 45% of the state's overseas-born population. Perth's metropolitan area (including Mandurah) had an estimated population of 2,043,138 in June 2017 (79% of the state). Other significant population centres include Bunbury (73,989), Geraldton (37,961), Kalgoorlie-Boulder (30,420), Albany (33,998), Karratha (16,446), Broome (14,501) and Port Hedland (14,285). Western Australia contributes an estimated 58% of Australia's Mineral and Energy Exports, potentially earning up to 4.64% of Australia's total GDP. Gross state product per person ($97,940 in 2017–18) is higher than any other state and well above the national average ($73,267). Diversification (i.e. a greater range of commodities) over the past 15 years has provided a more balanced production base and less reliance on just a few major export markets, insulating the economy from fluctuations in world prices to some extent. Finance, insurance and property services and construction have grown steadily and have increased their share of economic output. Recent growth in global demand for minerals and petroleum, especially in China (iron-ore) and Japan (for LNG), has ensured economic growth above the national average. Western Australia's overseas exports accounted for 46% of the nation's total. The state's major export commodities include iron-ore, alumina, nickel, gold, ammonia, wheat, wool, crude oil and liquefied natural gas (LNG). Western Australia is a major extractor of bauxite, which is also processed into alumina at four refineries providing more than 20% of total world production. It is the world's third-largest iron-ore producer (15% of the world's total) and extracts 75% of Australia's 240 tonnes of gold. Diamonds are extracted at Argyle diamond mine in far north of the Kimberley region. Coal mined at Collie is the main fuel for baseload electricity generation in the state's south-west. Agricultural production in WA is a major contributor to the state and national economy. Although tending to be highly seasonal, 2006–07 wheat production in WA was nearly 10 million tonnes, accounting for almost half the nation's total. and providing $1.7 billion in export income. Other significant farm output includes barley, peas, wool, lamb and beef. There is a high level of overseas demand for live animals from WA, driven mainly by southeast Asia's feedlots and Middle Eastern countries, where cultural and religious traditions and a lack of storage and refrigeration facilities favour live animals over imports of processed meat. About half of Australia's live cattle exports come from Western Australia. Resource sector growth in recent years has resulted in significant labour and skills shortages, leading to recent efforts by the state government to encourage interstate and overseas immigration. 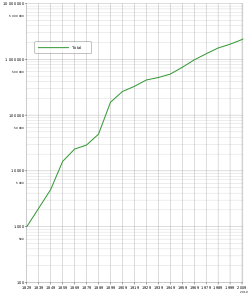 According to the 2006 census, the median individual income was A$500 per week in Western Australia (compared to A$466 in Australia as a whole). The median family income was A$1246 per week (compared to A$1171 for Australia). Recent growth has also contributed to significant rises in average property values in 2006, although values plateaued in 2007. Perth property prices are still the second highest in Australia behind Sydney, and high rental prices continue to be a problem. Located south of Perth, the heavy industrial area of Kwinana has the nation's largest oil refinery with a capacity of 146,000 barrels of oil per day, producing most of the state's petrol and diesel. Kwinana also hosts alumina and nickel processing plants, port facilities for grain and other bulk exports, and support industries for mining and petroleum such as heavy and light engineering, and metal fabrication. Shipbuilding (e.g. Austal Ships) and associated support industries are found at nearby Henderson, just north of Kwinana. Significant secondary industries include cement and building product manufacturing, flour milling, food processing, animal feed production, automotive body building and printing. In recent years, tourism has grown in importance, with significant numbers of visitors to the state coming from the UK and Ireland (28%), other European countries (14%) Singapore (16%), Japan (10%) and Malaysia (8%). Revenue from tourism is a strong economic driver in many of the smaller population centres outside of Perth, especially in coastal locations. Western Australia has a significant fishing industry. Products for local consumption and export include western rock lobsters, prawns, crabs, shark and tuna, as well as pearl fishing in the Kimberley region of the state. Processing is conducted along the west coast. Whaling was a key marine industry but ceased at Albany in 1978. Tourism forms a major part of the Western Australian economy with 833,100 international visitors making up 12.8% of the total international tourism to Australia in the year ending March 2015. The top three source markets include the United Kingdom (17%), Singapore (10%) and New Zealand (10%) with the majority of purpose for visitation being holiday/vacation reasons. The tourism industry contributes $9.3 billion to the Western Australian economy and supports 94,000 jobs within the state. Both directly and indirectly, the industry makes up 3.2% of the state's economy whilst comparatively, WA's largest revenue source, the mining sector, brings in 31%. Tourism WA is the government agency responsible for promoting Western Australia as a holiday destination. Western Australia was granted self-government in 1890 with a bicameral Parliament located in Perth, consisting of the Legislative Assembly (or lower house), which has 59 members; and the Legislative Council (or upper house), which has 36 members. Suffrage is universal and compulsory for citizens over 18 years of age. With the federation of the Australian colonies in 1901, Western Australia became a state within Australia's federal structure; this involved ceding certain powers to the Commonwealth (or Federal) government in accordance with the Constitution; all powers not specifically granted to the Commonwealth remained solely with the State, however over time the Commonwealth has effectively expanded its powers through increasing control of taxation and financial distribution. Whilst the sovereign of Western Australia is the Queen of Australia (Elizabeth II), and executive power nominally vested in her State representative the Governor (currently Kim Beazley), executive power rests with the premier and ministers drawn from the party or coalition of parties holding a majority of seats in the Legislative Assembly. Mark McGowan is the Premier, having defeated Colin Barnett at the state election on 11 March 2017. Secessionism has been a recurring feature of Western Australia's political landscape since shortly after European settlement in 1826. Western Australia was the most reluctant participant in the Commonwealth of Australia. Western Australia did not participate in the earliest federation conference. Longer-term residents of Western Australia were generally opposed to federation; however, the discovery of gold brought many immigrants from other parts of Australia. It was these residents, primarily in Kalgoorlie but also in Albany who voted to join the Commonwealth, and the proposal of these areas being admitted separately under the name Auralia was considered. In a referendum in April 1933, 68% of voters voted for the state to leave the Commonwealth of Australia with the aim of returning to the British Empire as an autonomous territory. The State Government sent a delegation to Westminster, but the British Government refused to intervene and therefore no action was taken to implement this decision. Western Australia is divided into 139 Local Government Areas, including Christmas Island and the Cocos (Keeling) Islands. Their mandate and operations are governed by the Local Government Act 1995. Education in Western Australia consists of one year of pre-school at age 4 or 5, followed by six years of primary education for all students as of 2015. At age 12 or 13, students begin six years of secondary education. Students are required to attend school up until they are 16 years old. Sixteen and 17 year olds are required to enrolled in school or a training organisation, be employed or be in a combination of school/training/employment. Students have the option to study at a TAFE college after Year 10, or continue through to Year 12 with vocational courses or a university entrance courses. There are five universities in Western Australia. They consist of four Perth-based public universities; the University of Western Australia, Curtin University, Edith Cowan University and Murdoch University; and one Fremantle-based private Roman Catholic university, the University of Notre Dame. The University of Notre Dame is also one of only two private universities in Australia, along with Bond University, a not-for-profit private education provider based in Gold Coast, Queensland. Western Australia has two daily newspapers: the independent tabloid The West Australian and The Kalgoorlie Miner. Also published is one weekend paper The Weekend West and one Sunday tabloid newspaper, News Corporation's The Sunday Times. There are also 17 weekly Community Newspapers with distribution from Yanchep in the north to Mandurah in the south. There are two major weekly rural papers in the state, Countryman and the Rural Press-owned Farm Weekly. The interstate broadsheet publication The Australian is also available, although with sales per capita lagging far behind those in other states. With the advent of the Internet, local news websites like WAtoday, which provide free access to their content, are becoming a popular alternative source of news. Other online publications from around the world like the New South Wales based The Sydney Morning Herald and The Australian are also available. West TV. A free-to-air digital only community television channel that began broadcasting in April 2010. It replaced Access 31, which ceased broadcasting in August 2008. Regional WA has a similar availability of stations, with the exception of West TV. Geographically, it is one of the largest television markets in the world, including almost one-third of the continent. Pay TV services are provided by Foxtel, which acquired many of the assets and all the remaining subscribers of the insolvent Galaxy Television satellite service in 1998. Some metropolitan suburbs are serviced by Pay TV via cable; however, most of the metropolitan and rural areas can only access Pay TV via satellite. The leading community radio stations are Curtin FM 100.1, 6RTR FM 92.1, Sonshine FM 98.5 (6SON) and 91.3 SportFM (6WSM). Winemaking regions are concentrated in the cooler climate of the south-western portion of the state. Western Australia produces less than 5% of the country's wine output, but in quality terms is considered to be very much near the top. Major wine producing regions include: Margaret River, The Great Southern, Swan Valley as well as smaller districts including Blackwood Valley, Manjimup, Pemberton, Peel, Chittering Valley, Perth Hills, and Geographe. Australian rules football: The West Coast Eagles and the Fremantle Dockers compete in the Australian Football League (AFL). The Fremantle Dockers also have a women's team of the same name playing in the AFL Women's league, founded in September 2016. The West Coast Eagles are scheduled to get an AFLW team in 2020. The West Australian Football League (WAFL) is the main local football competition, but other local and amateur football leagues exist across the state. Baseball: The Perth Heat compete in the Australian Baseball League. Basketball: The Perth Wildcats (men) and Perth Lynx (women) compete in the National Basketball League and Women's National Basketball League, respectively. Cricket: Western Australia represent the state in first-class and List A domestic cricket, with the Perth Scorchers competing in the Twenty20 Big Bash League. Field hockey: The Thundersticks (men) and Diamonds (women) compete in the Australian Hockey League. Netball: The West Coast Fever compete in the ANZ Championship. Rugby league: The West Coast Pirates compete in the S. G. Ball Cup. Rugby union: The Western Force competes in the Super Rugby and the Perth Spirit in the National Rugby Championship. Soccer: Perth Glory field men's and women's teams in the A-League and W-League, respectively. Tennis: The ITF Hopman Cup, an annual international team indoor hardcourt tennis tournament. Water Polo: The UWA Torpedoes water polo club competes in the National Water Polo League (NWPL). International sporting events hosted in the past in Western Australia include the Tom Hoad Cup (water polo), the Perth International (golf), the 2006 Gravity Games (extreme sports), the 2002 Women's Hockey World Cup, the 1991 FINA World Aquatics Championships and the 1962 British Empire and Commonwealth Games. Western Australia is home to one of the country's leading performance training institutions, the acclaimed Western Australian Academy of Performing Arts (WAAPA), as well as a burgeoning theatrical and musical scene. Notable musicians and bands to have been born in or lived in Western Australia include Adam Brand, Karnivool, Birds of Tokyo, Bon Scott, Eskimo Joe, Johnny Young, Gyroscope, the John Butler Trio, Tame Impala, Troye Sivan, Kevin Mitchell, Tim Minchin, The Kill Devil Hills, Pendulum, The Pigram Brothers, Rolf Harris and The Triffids. The West Australian Music Industry Awards (WAMis) have been awarded every year to the leading musicians and performers in WA since 2001.
Notable actors and television personalities from Western Australia include Heath Ledger, Sam Worthington, Ernie Dingo, Jessica Marais, Megan Gale, Rove McManus, Isla Fisher, and Melissa George. Films and television series filmed or partly filmed in Western Australia include These Final Hours, Cloudstreet, Australia, Bran Nu Dae, ABBA: the Movie and Last Train to Freo. Noted Western Australian indigenous painters and artisans include Jack Dale Mengenen, Paddy Bedford, Queenie McKenzie, and siblings Nyuju Stumpy Brown and Rover Thomas. The West Australian Symphony Orchestra (WASO) is based at the Perth Concert Hall. Other concert, performance and indoor sporting venues in Western Australia include His Majesty's Theatre, the now demolished Perth Entertainment Centre, the Burswood Dome and Theatre and the Perth Arena, which opened in 2012. In 1981, a sister state agreement was drawn up between Western Australia and Hyōgo Prefecture in Japan that was aimed at improving cultural ties between the two states. To commemorate the 10th anniversary of this agreement, the Hyōgo Prefectural Government Cultural Centre was established in Perth in 1992. Prior to that, the Western Australian government opened an office in Kobe, the largest city in Hyōgo, to facilitate maintenance of the relationship in 1989. Following the Great Hanshin earthquake that devastated southern Hyōgo in January 1995, Western Australian groups and businesses raised funds and provided materials, whilst individuals travelled to Hyōgo to help with emergency relief and the subsequent reconstruction process. The two governments signed a memorandum of understanding on the 20th anniversary in 2001 that aimed to improve the economic relationship between the two states. Further to the sister state relationship, the City of Rockingham in Western Australia and the City of Akō in Hyōgo signed a sister city agreement in 1997. It is one of nine sister city relationships between Western Australian and Japanese cities. 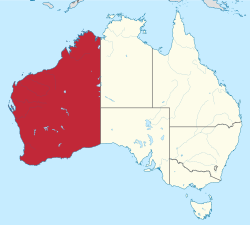 a "West Australia" and its related demonym "West Australian" are occasionally used, including in the names of the main daily newspaper, The West Australian, and the state-based West Australian Football League, but are rarely used in an official sense. 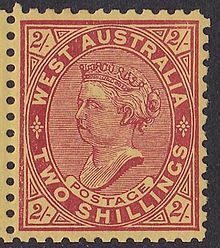 The terms "Westralia" and "Westralian" were regularly used in the 19th and 20th century. The terms are still found in the names of certain companies and buildings, e.g. Westralia House in Perth and Westralia Airports Corporation, which operates Perth Airport, as well as in the names of several ships. b In Australia, the body of water south of the continent is officially gazetted as the Southern Ocean, whereas the International Hydrographic Organization (IHO) designates it as part of the Indian Ocean. ^ "3101.0 – Australian Demographic Statistics, Sep 2018". Australian Bureau of Statistics. 21 March 2019. Retrieved 21 March 2019. ^ "Australian National Accounts: State Accounts, 2017–18". Australian Bureau of Statistics. 16 November 2018. Retrieved 19 April 2019. ^ a b "3218.0 – Regional Population Growth, Australia, 2016–17: Main Features". Australian Bureau of Statistics. 24 April 2018. Retrieved 13 October 2018. Estimated resident population, 30 June 2017. ^ a b c d "King George's Sound Settlement". State Records Authority of New South Wales. Retrieved 30 August 2016. ^ a b Knibbs, G.H. (1911). "The Creation of the Several Colonies". Official Year Book of the Commonwealth of Australia. 4. Melbourne: Commonwealth Bureau of Census and Statistics. p. 16. ^ a b Curran, Enda (21 February 2012). "Western Australia Plans Sovereign Wealth Fund". The Wall Street Journal. Retrieved 15 March 2012. ^ "US Geological Survey" (PDF). Minerals.usgs.gov. 2014. Retrieved 11 June 2016. ^ "Wayback Machine" (PDF). Web.archive.org. 7 October 2009. Retrieved 17 February 2019. ^ "Canberra all at sea over position of Southern Ocean". The Age. 22 December 2003. Retrieved 17 February 2019. ^ "State And Territory Borders". Geoscience Australia. 11 September 2007. Archived from the original on 28 November 2007. Retrieved 25 September 2008. ^ "Coastline Lengths". Geoscience Australia. 18 November 2010. Archived from the original on 22 January 2011. Retrieved 21 January 2011. ^ "Area of States and Territories". Geoscience Australia. 31 August 2005. Archived from the original on 30 July 2008. Retrieved 25 September 2008. ^ "Oldest evidence of life on land found in 3.48-billion-year-old Australian rocks". Phys.org. 9 May 2017. Retrieved 13 May 2017. ^ Djokic, Tara; Van Kranendonk, Martin J.; Campbell, Kathleen A.; Walter, Malcolm R.; Ward, Colin R. (9 May 2017). "Earliest signs of life on land preserved in ca. 3.5 Ga hot spring deposits". Nature Communications. 8: 15263. doi:10.1038/ncomms15263. PMC 5436104. PMID 28486437. Retrieved 13 May 2017. ^ "Average annual, seasonal and monthly rainfall". Commonwealth of Australia, Bureau of Meteorology. 26 October 2011. Retrieved 1 June 2014. ^ Snow in Western Australia: About Snow in WA. Retrieved 4 February 2007. ^ "Official records for Australia in January". Bureau of Meteorology. 1 July 2017. Retrieved 7 July 2017. ^ "2016 Vascular Flora Statistics". Flora Base. Retrieved 3 June 2017. ^ "New linear systematic sequence for vascular plants". Flora Base. Retrieved 3 June 2017. ^ Green, J.N. (1977). "Australia's oldest wreck: The Loss of the Trial, 1622" (PDF). British Archaeological Reports, Supplementary Series 27. Oxford. ^ Tauman, Merab Harris (1988). "O'Connor, Charles Yelverton (1843–1902)". MUP. pp. 51–54. Retrieved 12 July 2008. ^ a b "Country of Birth" (xls). Australian Bureau of Statistics. 1 October 2014. Retrieved 27 October 2014. 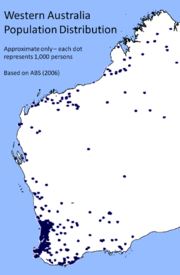 ^ a b "2011 Census QuickStats: Western Australia". Censusdata.abs.gov.au. Retrieved 16 September 2015. ^ a b c d e f g "3218.0 – Regional Population Growth, Australia, 2016–17: Population Estimates by Significant Urban Area, 2007 to 2017". Australian Bureau of Statistics. 24 April 2018. Retrieved 12 October 2018. Estimated resident population, 30 June 2017. ^ "Department of Mines and Petroleum". WA Department of Mines and Petroleum. 9 November 2011. Retrieved 9 November 2011. ^ "Australian Bureau of Statistics". WA Australian Bureau of Statistics. 9 November 2011. Retrieved 9 November 2011. ^ "Australian Economic Indicators" (PDF). Australian Bureau of Statistics. 2008. Retrieved 11 September 2008. ^ a b "2008 Crop Report" (PDF). ABARE. 1 June 2008. Archived from the original (PDF) on 19 July 2008. Retrieved 13 September 2008. ^ a b "WA at a Glance 2008" (PDF). Australian Bureau of Statistics. 2 April 2008. Retrieved 10 September 2008. ^ "2008 Live Exports" (PDF). ABARE. 31 March 2008. Archived from the original (PDF) on 19 July 2008. Retrieved 15 September 2008. ^ "Go West Now". Government of Western Australia. 2008. Retrieved 16 September 2008. ^ "2006 Census QuickStats: Western Australia, October 2007". Censusdata.abs.gov.au. Retrieved 14 June 2010. ^ "Refining". Bp.com. Retrieved 30 August 2016. ^ McKinnon, Stuart (3 April 2014). "BP sticks by Kwinana despite Qld closure". The West Australian. Retrieved 27 October 2014. ^ "Downstream_Petroleum 2007 Report" (PDF). Australian Institute of Petroleum. 15 July 2008. Archived from the original (PDF) on 1 October 2008. Retrieved 12 September 2008. ^ "Tourism Western Australia : Fast Facts Year Ending March 2015" (PDF). Tourism.wa.gov.au. Retrieved 17 February 2019. ^ "Tourism Satellite Account : Western Australia 2013 – 2014 : Fact Sheet" (PDF). Tourism.wa.gov.au. Retrieved 17 February 2019. ^ "Tourism Western Australia". Tourism.wa.gov.au. Retrieved 16 September 2015. ^ "Proclamation Day". Government of Western Australia. 11 June 2015. Retrieved 21 October 2017. ^ "25 May 1935 – W. A. Secession Petition Disallowed Committee's ..." Nla.gov.au. Retrieved 16 September 2015. ^ "Local Government Act 1995". Austlii.edu.au. Retrieved 26 July 2011. ^ "Year 7 students move to secondary school – School education – The Department of Education". Web.archive.org. 17 July 2014. Retrieved 17 February 2019. ^ "Enrolling in school – The Department of Education". Education.wa.edu.au. Retrieved 31 May 2018. ^ "TAFE Admissions guide for entry to full time courses" (PDF). Northmetrotafe.wa.edu.au. ^ "Western Australian Certificate of Education: WACE Manual: General information for senior secondary schooling 2018" (PDF). School Curriculum and Standards Authority. 31 May 2018. ^ Hugh Johnson & Jancis Robinson (2007). The World Atlas of Wine; 6th Revised edition. Mitchell Beazley. ISBN 978-1-84533-414-7. ^ "Wine Australia". Wineaustralia.com. Archived from the original on 22 July 2008. Retrieved 16 September 2015. ^ "Australian Wine and Brandy Corporation – Western Australian Wine". Wineaustralia.com. Archived from the original on 22 July 2008. Retrieved 14 June 2010. ^ Lee, Tim (12 February 2013). "'Grand old man of the Kimberley' dies". ABC News (Australia). Retrieved 2 March 2013. ^ Arts, Department of Culture and. "Sister State Relationships ~ DCA". Dca.wa.gov.au. Retrieved 17 February 2019. ^ "Hyogo-WA Sister State Relationship". Hyogo Prefectural Government Cultural Centre. 10 April 2015. Retrieved 14 April 2016. ^ a b c "WA-Hyogo Sister State". Government of Western Australia. Retrieved 14 April 2016. ^ "About the centre". Hyogo Prefectural Government Cultural Centre. 27 March 2015. Retrieved 14 April 2016. ^ "Japanese garden a tribute to Sister State relationship with Hyogo prefecture". Government of Western Australia. 1 June 2013. Retrieved 14 April 2016. ^ "About Us". Australia Japan Society of WA. Archived from the original on 9 April 2013. Retrieved 14 April 2016. ^ "Memorial service pays tribute to Japanese earthquake victims". City of Perth. January 2016. Archived from the original on 8 May 2016. Retrieved 14 April 2016. ^ "Hansard, Western Australian Legislative Assembly". Parliament of Western Australia. 21 October 1997. Retrieved 14 April 2016. ^ "WA-Japan Sister City Relationships". Government of Western Australia. Retrieved 14 April 2016. ^ "SLWA Online Catalogue /Entire Sta". Henrietta.liswa.wa.gov.au. Archived from the original on 9 November 2011. Retrieved 2 November 2012. ^ "Search results for 'westralia' – Trove". Trove.nla.gov.au. Retrieved 16 September 2015. ^ "Canberra all at sea over position of Southern Ocean". Theage.com.au. Retrieved 2 November 2012. Wikimedia Commons has media related to Western Australia. Wikivoyage has a travel guide for Western Australia. Watch historical footage of Western Australia from the National Film and Sound Archive of Australia's collection. Watch audiovisual material relating to Western Australia on the National Film and Sound Archive's australianscreen online.